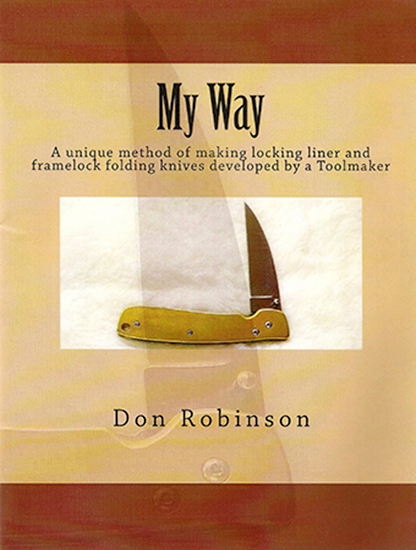 This book includes 42 pages of detailed instructions for making the liners and fitting the pivot and lock for either a linerlock or a framelock folder. The author assumes that the buyer is already capable of making the blade blank and making the bolsters and scales, if they are needed. The focus is placed on a precision method of fitting all the working mechanisms without trial and error. The buyer can accomplish this by using either a drill press or a milling machine. This book comes with a separate CAD design for a wharncliffe folder at no additional cost.